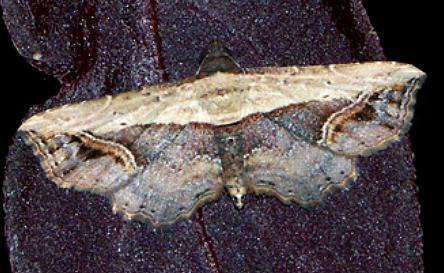 The adult moth of this species has brown wings. 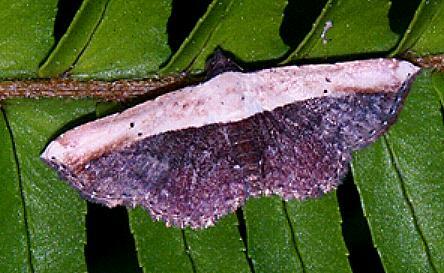 The forewings each have a pale area along the costa which extends across the thorax. The wings have a bulge along the margin, and a hooked wingtip. The wingspan is about 2 cms. Volume 12, Part 29 (1900), p. 85, No. 153. LeapFrogOz, Kuranda, 2015, pp. 117-118, (listed as Oruza stragulata).